After completing his studies at the Institute of Industrial Arts, Viktor Mustikainen started to work for the advertising agency Ilmo, where he worked as a commercial artist from 1954 until 1960. In 1960, he was employed as a commercial artist for SEK and also worked there as art director. In 1968, Mustikainen took up the position of studio manager with the advertising agency Finnad Oy. At the beginning of the 1980s, Viktor Mustikainen founded his own advertising agency, Oy Victor Ad, which produced annual reports, brochures, and illustrations for both magazines and books. 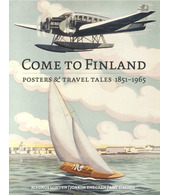 Besides his work in advertising, Mustikainen also had time to concentrate on his own creative activity. His graphic art and oil paintings have been displayed at several different exhibitions.